While it may feel like it’s still far off, Christmas is right around the corner. And you know what that means — Christmas shopping! One of the best parts of Christmas is brainstorming and selecting gifts to give your loved ones. If you work in a professional corporate environment, you’ll also know the importance of corporate Christmas gifts. Even though you may not have a personal relationship with each and every one of your employees or coworkers, it’s still important to share the holiday spirit with them by presenting them a small gift. 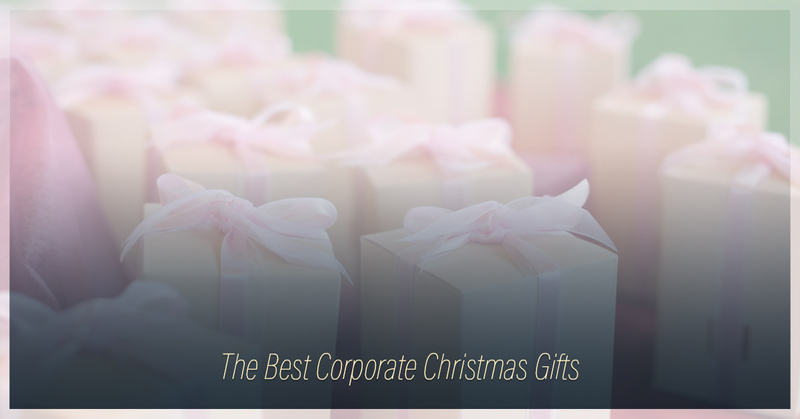 If you don’t know where to begin when shopping for corporate gifts, you’ve found yourself in the right place. In today’s blog post, we’re going to be listing out some ideas for corporate gift giving. Take a look to find out how you can bring Christmas to the workplace this year. When planning your gift giving for your peers, it’s important to find something that’s neutral and can be easily enjoyed by many different people. The best tip is to find something that’s consumable that they can either spend or eat/drink. Gift cards or certificates are an easy, simple, and effective gift idea for large groups of people. It’s consumable, so they can spend the credit on the card the way they want. Plus, gift cards are versatile! Your options are endless. You can keep it simple by getting gift cards to Target or Bed Bath & Beyond, or you can make it a little more tailored by getting certificates to a family-friendly restaurant. Depending on your relationship with your employees and/or coworkers, you could even gift them with a certificate to a local massage studio. As long as it is something that they can spend and will appreciate, and of course, is appropriate, you should be good to go. This gift option is dependent on the relationship you have with your employees/coworkers and the culture of your work environment. However, if you feel this gift would be well-received, go for it! Wine can be enjoyed by so many people in so many different environments, so you really can’t go wrong. There are a lot of delicious wines, both red and white, that are sold at an affordable price, making for the ideal gift to give those you work with. The gesture, and the beverage, will both be greatly received. The best corporate Christmas gift you can gift is something edible. If you want to ensure that your employees and coworkers enjoy their gift, consider gifting them a tin of cheese straws from 350° Cheese Straws®. Equal parts thoughtful and delicious, those you work with will be nothing less than thrilled and grateful. A 9.5 ounce tin of cheese straws is $20.99, making for an affordable yet highly enjoyable gift. Here at 350° Cheese Straws, our motto is “One bite and you’re hooked!” This has proven to be true far and wide, which is why we believe a tin of straws will make for the best corporate holiday gift this season. Order yours online today to ensure a delivery before December 25.